This is my current ootd, outfit of the day, and I'm all about it! 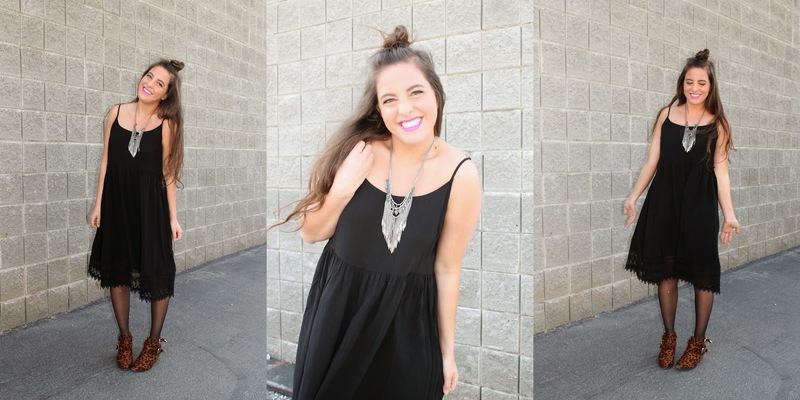 Black, comfortable, girly, and a little boho. Plus a pop of leopard is always great! I'm all about pairing a simple black dress with some fun things like my leopard booties and this fun necklace! But yes, this is as real as it can get, this is me being me, totally not trying to hide my weirdness! Wow, super cute look!! I love your half top-knot! It looks great with your boho-style dress.